Good news, tax procrastinators—since this is a leap year, you have an extra day to put off filing your 2007 taxes. The bad news, of course, is that even with 24 more hours to table your taxes, you’ll still have to finish the job eventually—that April 15 deadline isn’t going anywhere. With February soon giving way to March and bringing us another calendar page flip closer to the filing deadline, it’s time to pick a program for preparing your tax return. Fortunately, the makers of tax-preparation products have updated their offerings to reflect this year’s ever-changing tax laws and to add features aimed at making this annual chore more efficient. 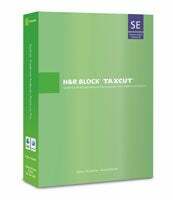 For Mac users, the leading providers of tax-prep software are Intuit, with its TurboTax product line, and H&R Block, which makes TaxCut. Both companies also offer online versions of their tax-preparation products, where they face growing competition from several other online-focused services. Intuit says the latest Mac version of TurboTax has been built from the ground up for OS X 10.4 and 10.5. “This is not a retrofit,” said Rich Preece, group product manager for the tax preparation program. That approach has allowed Intuit to incorporate some Mac-only features into TurboTax. For instance, the software now features a Forms button that allows users to see where the data they’re currently entering will appear on the IRS form. Press the Forms button, and the TurboTax interface flips around to reveal an IRS form with the data filled in. TurboTax features one-click access to .Mac backups as well as a one-click burn-to-CD feature. Preece said the feature not only lets users keep backups of their returns, it also allows them to burn a copy of TurboTax onto the disc. “You no longer have to keep the old version of TurboTax on your Mac,” Preece added. The new version of TurboTax also shows the refund amount for both your federal and state return simultaneously. Previous editions could only show the state data after the federal return was complete because users had to wait to download the state return. All TurboTax users have access to the program’s improved audit tools like the Audit Risk Summary, which offers a color-coded visual representation of whether you risk an audit or not. The feature lets users drill down to find the specific entries that are raising their risk of an audit. “All the trap doors people fall down innocently, we’ve built the infrastructure to flag it,” Preece said. In case of an audit, Intuit offers a free downloadable audit support tool, which uses an interview format to explain to users why they’re being audited. The tool also provides forms and letters for users to fill out and send. TurboTax ships in four editions: the $19.95 Basic, the $44.95 Deluxe, the $74.95 Premier, and the $89.95 Home & Business. The Deluxe, Premier, and Home & Business editions include a state return. Basic users or users who need to file returns in more than one state pay $34.95 for each state version. 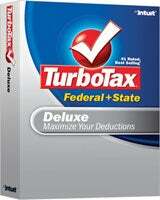 All Mac editions of TurboTax run on OS X 10.4 or later on both PowerPC- and Intel-based Macs. Customers who pick up their copy of TaxCut from one of Apple’s retail stores will notice a change with this year’s version right away—H&R Block developed Apple Store-specific packaging for its tax program. “It shows we’re on the platform and designed with Mac users in mind,” said Jason Bass, product manager for H&R Block’s digital tax solutions group. The company has motivation to emphasize its place on the Mac platform—it dropped Mac support for Tax Cut for the 2005 version of its product before returning to the platform with last year’s edition. But the Mac-specific changes to TaxCut this year go beyond packaging. The program features Address Book integration, allowing users to import the primary taxpayer’s information directly into a return. The feature saves time and reduces the possibility of data-entry errors, Bass said. An iCal subscription feature adds tax-specific date reminders to OS X’s built-in calendar app, reminding users when they need to file or check for software updates. Like TurboTax, TaxCut offers a backup-to-iDisk feature for .Mac subscribers. Users can automatically save their returns to iDisk anytime they use the save command. There are three Mac-compatible versions of TaxCut—a $19.95 Premium edition, a $39.95 version that includes a state return, and a $69.95 offering that allows users to e-file federal and state returns. TaxCut runs on OS X 10.3.9 and later.